March 2017 – The updated Jeep Grand Cherokee range has arrived in Australia, bringing a fresh new look and increased performance, safety and equipment levels to the world’s most awarded SUV. The refreshed range also welcomes the toughest Grand Cherokee ever to Australia in the form of the mighty Trailhawk. 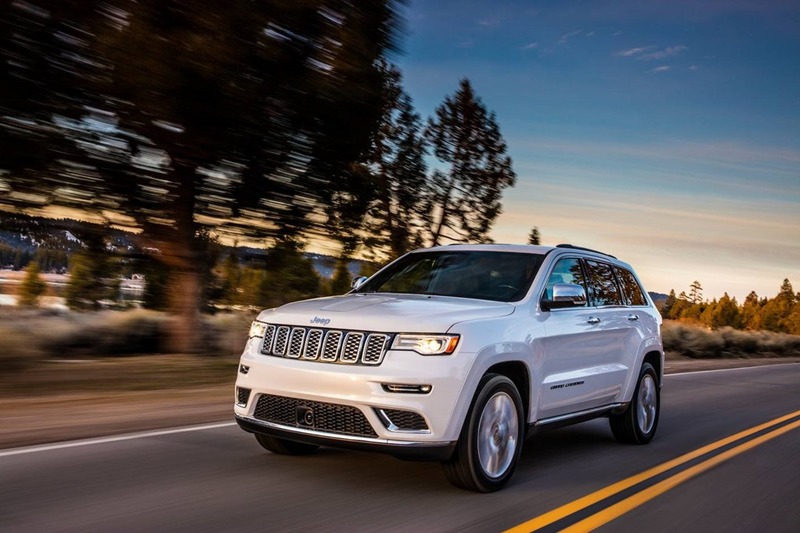 These updates not only increase the Grand Cherokee’s breadth of capabilities – from the performance-focused, V8-powered SRT to the all-terrain-conquering Trailhawk – they also make this Grand Cherokee the most technically advanced ever. The new range stretches from the value-packed Laredo and leather-lined Limited to the adventure-ready Trailhawk, luxury Overland and high-performance SRT powered by a 344kW Hemi V8 engine. 3.0-litre turbodiesel V6 mated to Jeep’s proven 8-speed automatic transmission. The Trailhawk utilises Jeep’s acclaimed Quadra-Drive II 4×4 system, complete with an electronic limited slip rear differential for even greater traction. This, combined with a unique tune for the Quadra-Lift air suspension, improves the Trailhawk’s wheel articulation and increases ground clearance to 260mm, the most ever in a Jeep Grand Cherokee. Reinforcing its class-leading offroad performance, the Grand Cherokee Trailhawk has new Offroad Pages housed within the 8.4-inch Uconnect touchscreen. Jeep Offroad Pages are included in all updated 4×4 Grand Cherokee models – except the SRT performance flagship which retains SRT Performance Pages – one of many detail changes that cement Jeep’s flagship range as luxurious and comfortable on-road and rugged and capable offroad.